AeroAggregates has completed installation and is now operational on its second kiln, doubling production capacity to meet growing U.S. demand. AeroAggregates is the first vertically-integrated company in North America to produce ultra-lightweight closed cell foamed glass aggregates from 100 per cent recycled glass. The kilns at AeroAggregates use 100 per cent post-consumer recycled glass to produce a building aggregate that is lightweight, non-combustible, insulating, free-draining, non-absorbent, and resistant to chemicals, rot and acid. Foamed glass aggregates also possess a highly frictional surface which makes it ideal as a lightweight backfill. Archie Filshill, CEO and Co-Founder of AeroAggregates explains that the company is excited to fire up its second kiln in order to meet increased demand from the civil engineering and construction markets that require sustainable, lightweight materials due to specialized design and constructability requirements. With the addition of the new AeroAggregates kiln, more than 140 million recycled curbside glass bottles will be diverted each year, bringing relief to municipal recycling operations. According to a recent study, municipal recycling programs spend approximately 150 million dollars a year to dispose of unwanted glass. 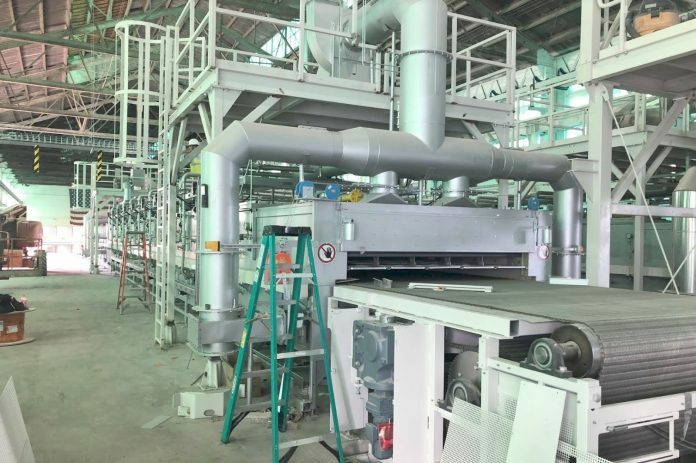 The foamed glass aggregates manufacturing process employed by AeroAggregates can utilize mixed colour glass and due to its advanced cleaning system is unaffected by small amounts of residual paper and other contaminants.